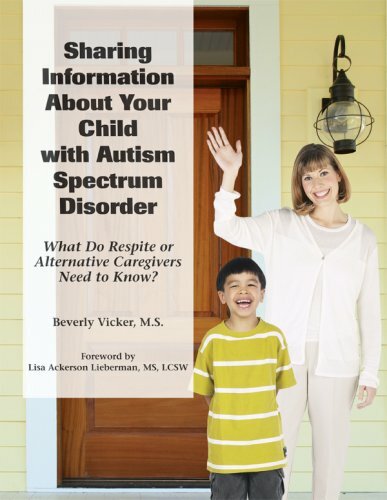 Sharing Information About Your Child with Autism Spectrum Disorder by Beverly Vicker and Lisa Ackerson Lieberman. Helps parents decide what information to share with caregivers. Careful planning helps ensure that the child receives quality care. Pp. 227.